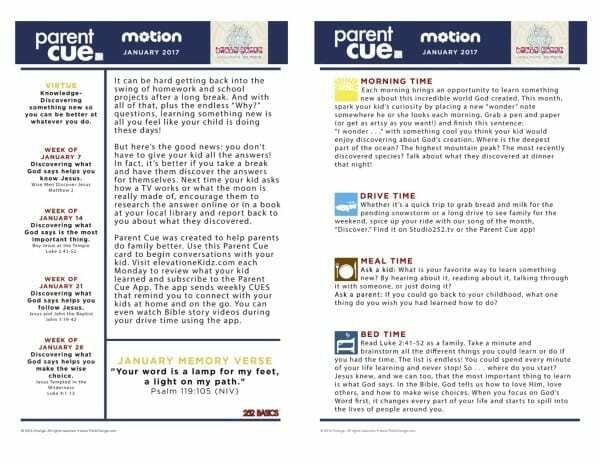 Parent Cue was created to help parents do family better. 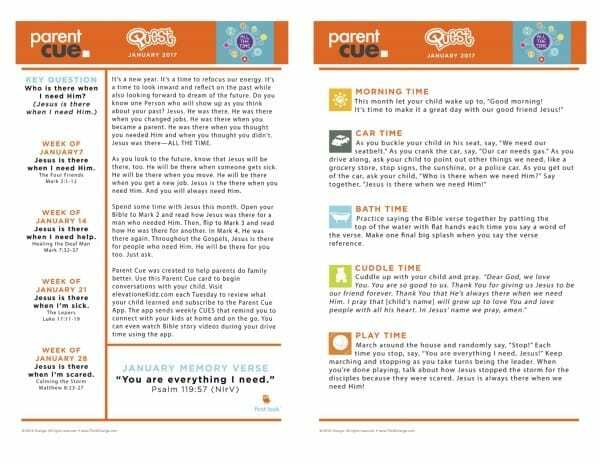 Use the monthly Parent Cue card to begin conversations with your child about what they are learning in church. 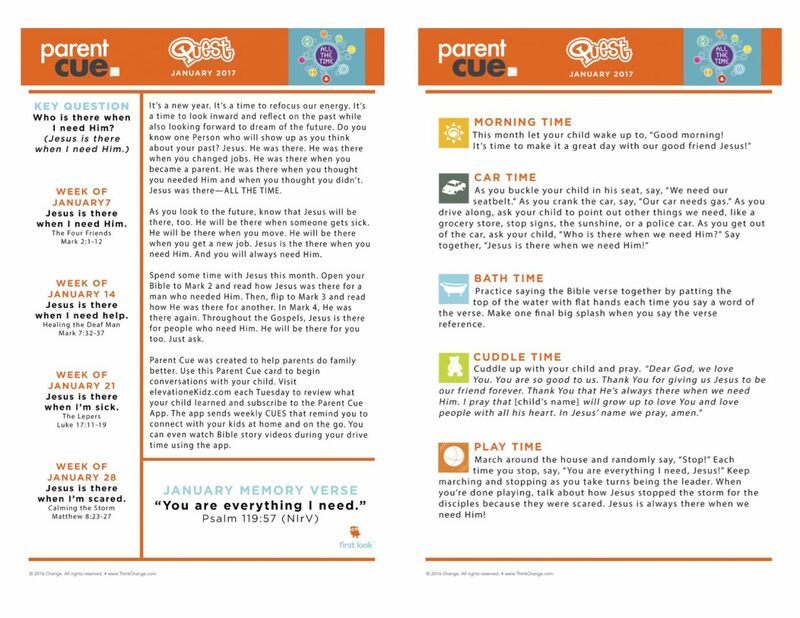 Each week on the eKidz site find weekly information to continue conversations about Jesus at home. TO PRINT: Download and print on 8.5 x 11 paper. 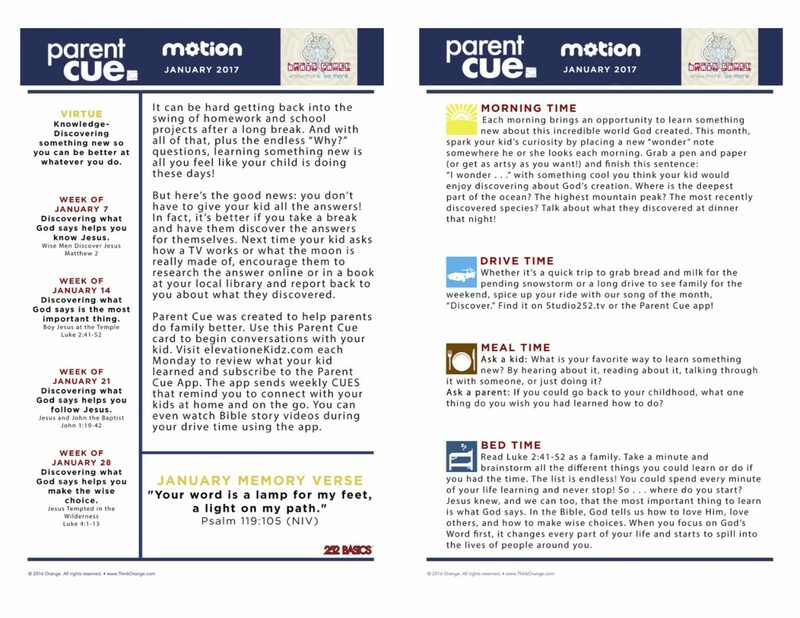 Another great resource available at your fingertips is the Parent Cue App. The app sends weekly CUES that remind you to connect with your kids at home and on the go. You can even watch Bible story videos during your drive time using the app.